On July 12, 2017, Centurion released their new model Fi23 for 2018. The Fi23 will feature their new Opti-V modified deep-v hull design coupled with up to 4,850 lbs. of ballast, the QuickSurf Pro two-second wave transfer, and the QuickLaunch system. The available RAMFILL will fill the ballast tanks in 45 seconds. Roswell is stoked to be a part of this amazing boat which features the Roswell Maximus tower and bimini top along with Roswell’s industry leading sound system including the Downfire tower speakers, Roswell Amplifiers, R1 in-boat speakers, and the all new R1 12″ Subwoofer with custom grill and LED ring. Checkout the full write up from Centurion here. 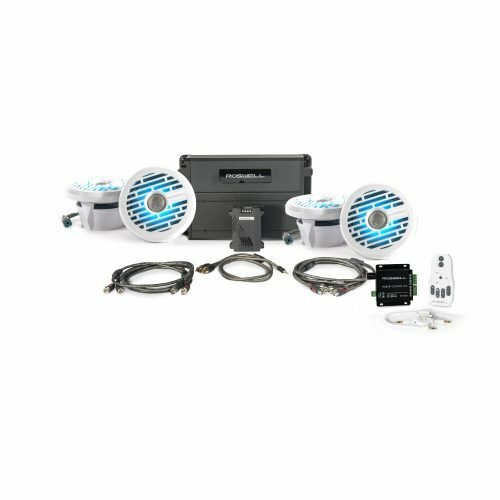 If you are in the market for some boat accessories or upgrades, check out our wakeboat towers, tower speakers, in-boat speakers, board racks, and our many other marine accessories.